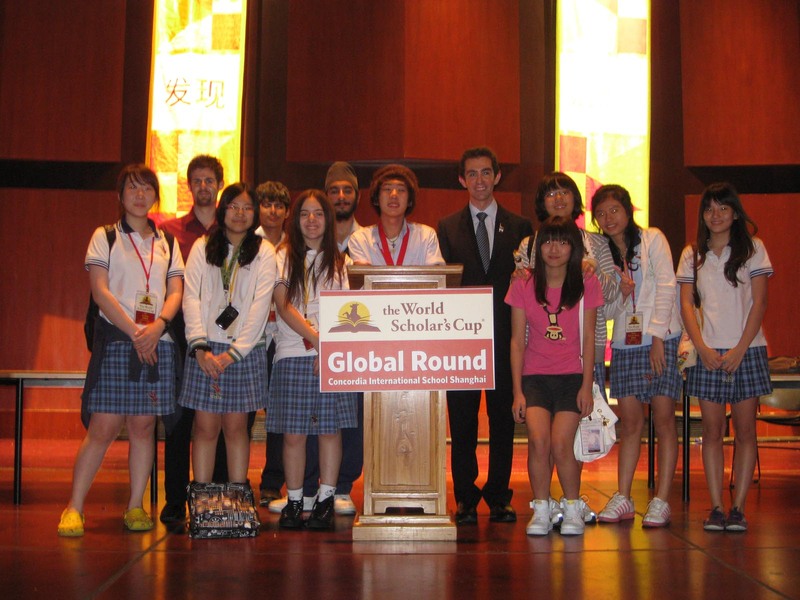 Wells students garner recognition at the 2010 World Scholar’s Cup in Shanghai. Shanghai, China – Nearly 600 top students and future leaders from 20 countries came together at Concordia International School Shanghai, June 18-20, for the 2010 Global Round of the World Scholar’s Cup. 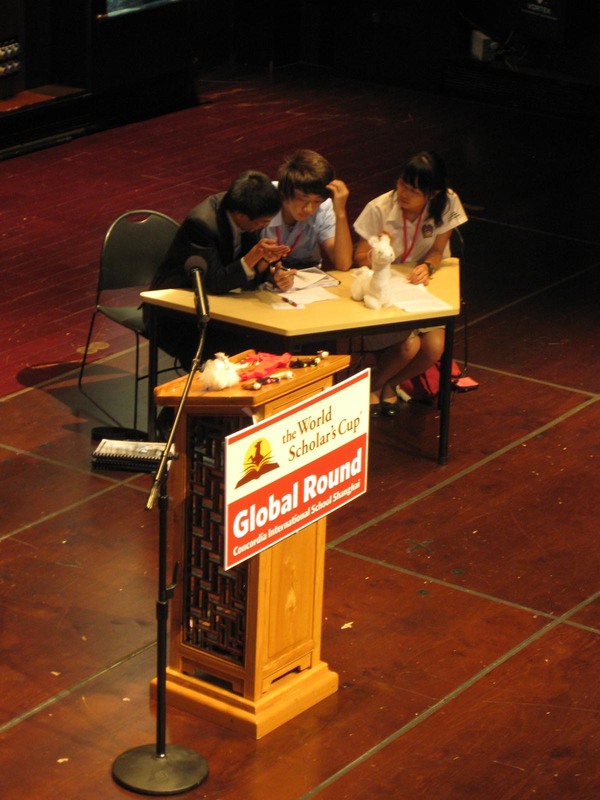 Each year, World Scholar’s Cup participants from around the world explore a different cutting-edge global theme. This year’s theme was “A World Divided”. At the tournament, students participated in four main events: team debate, a multiple choice challenge, persuasive writing, and a live-action quiz show. 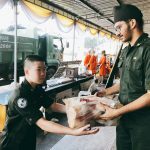 In its first year entering the competition, Wells International School made an immediate impact. The team of Kaori Miyajima (Gr. 8), Amira Lukens (Gr. 8), and Pim Chuenkamolpun (Gr. 9) walked away with a 3rd Place Team Trophy in the Junior Division Scholar’s Bowl event, in which teams raced the clock to answer a series of 72 questions in categories ranging from Literature, Science, Art, Economics, and even the Psychology of War. In the Senior Division, Chan Young Lee (Gr. 10) was selected as one of six top debaters for the Debate Showcase, debating in front of an international audience of fellow scholars and teachers, to address the complex motion, “Peace, prosperity, and progress are ultimately the same thing.” Chan, representing Thailand, stood alongside students representing Vietnam, Indonesia, China, the Czech Republic, and the United States of America. Also representing Wells were Juniors Surachet “Nick” Charaschanya, Ju Hyun “June” Song, and Juyeon “Jenny” Jin, and Freshmen Tsai Chi “Cathy” Shang Kuan and Gautham Giri Neelam Naganathan. 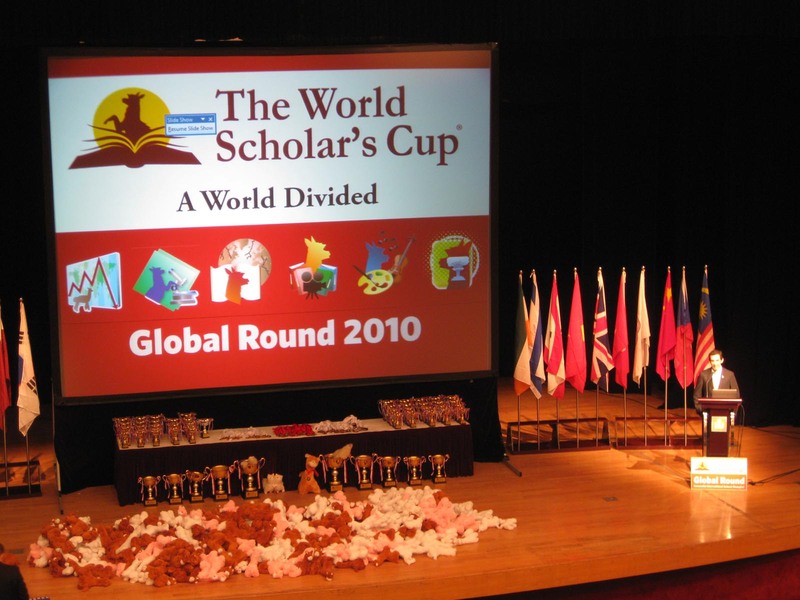 The World Scholar’s Cup was launched in spring 2007 with a ten-team, three-country tournament held in Korea. 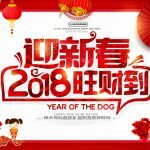 This year nearly 600 students (in 200 teams of three) will come to Shanghai from all corners of the globe. Many have already participated at recent regional rounds in Europe, Asia, North America, and the Middle East. One highlight is the Scholar’s Scavenge, in which randomly-assigned teams of ten to twelve students from different countries race to solve clues and snap winning photos. 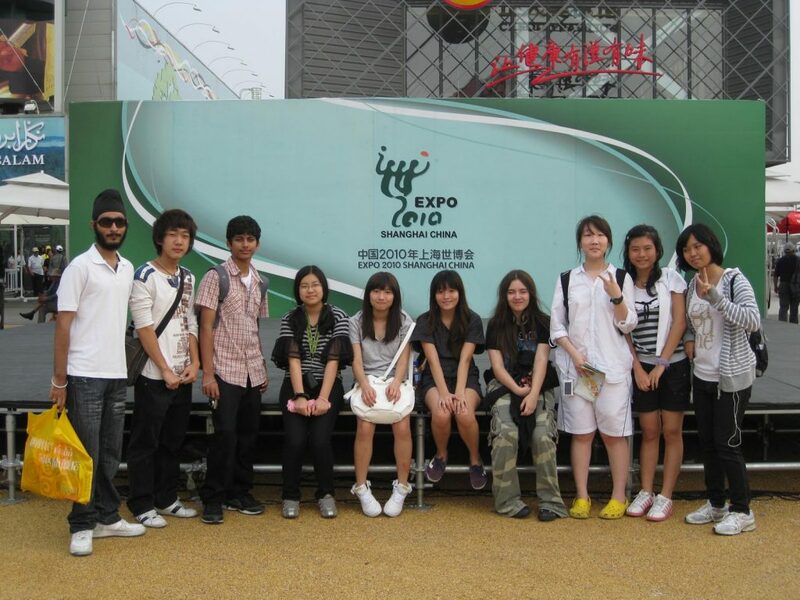 This year’s Scholar’s Scavenge took place at the World Expo on Friday, June 18th. Students walked away not just with amazing photographs, but with friends they will interact with on the international stage for the rest of their lives. 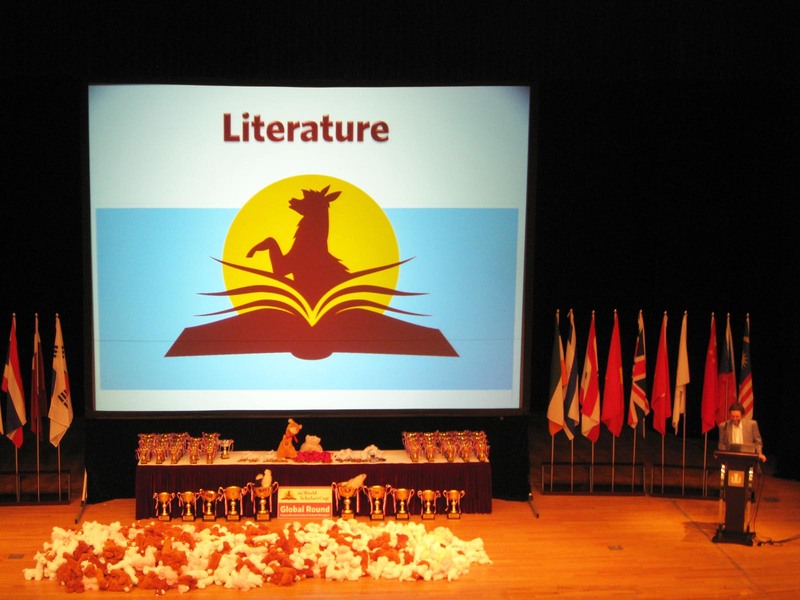 On the first two days, tournament events, including Writing, the Scholar’s Challenge, and Team Debate, took place at Concordia International School Shanghai. And on June 20th, all teams migrated to the Shanghai Center Theater on East Nanjing Road for the climactic Scholar’s Bowl and closing ceremonies. The World Scholar’s Cup is a nonprofit organization and depends on the generosity of its sponsors, including DemiDec, Meridia Audience Response Systems, Zip-Scan, Asia Clean Capital, the Princeton Review, and Zebra Pen Corp.
Well done, another fine proud moment for you and all at wells.